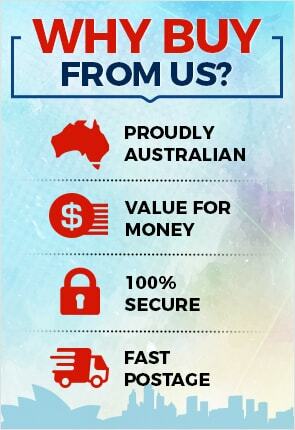 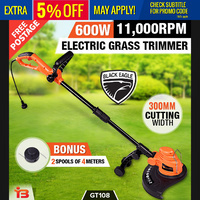 Do you want to quickly and conveniently have that perfectly manicured lawn? 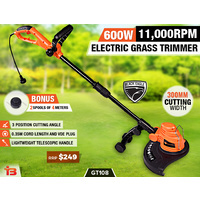 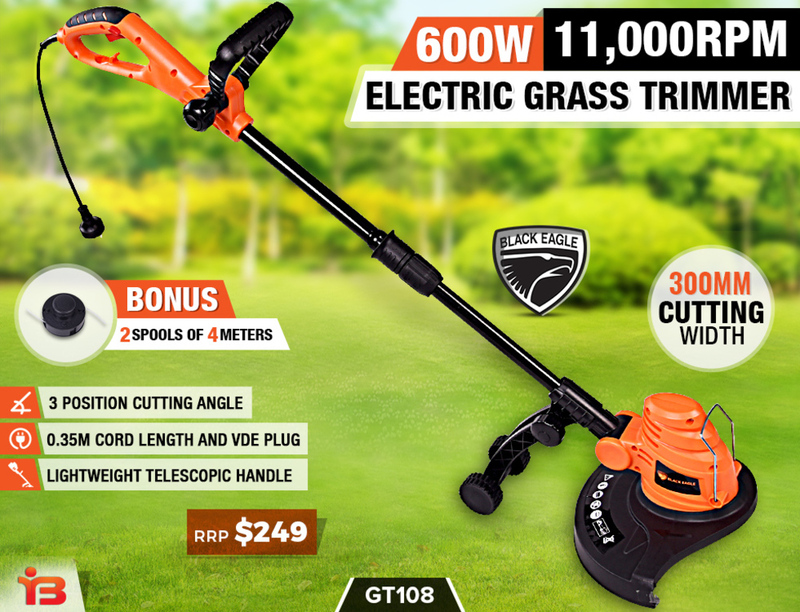 Easy to use, durable and extremely convenient the 600W grass trimmer will allow you to keep your lawn looking immaculate. The lightweight ergonomic design and improved telescopic handle allow you to work faster with a greater ability for precision work without any discomfort. 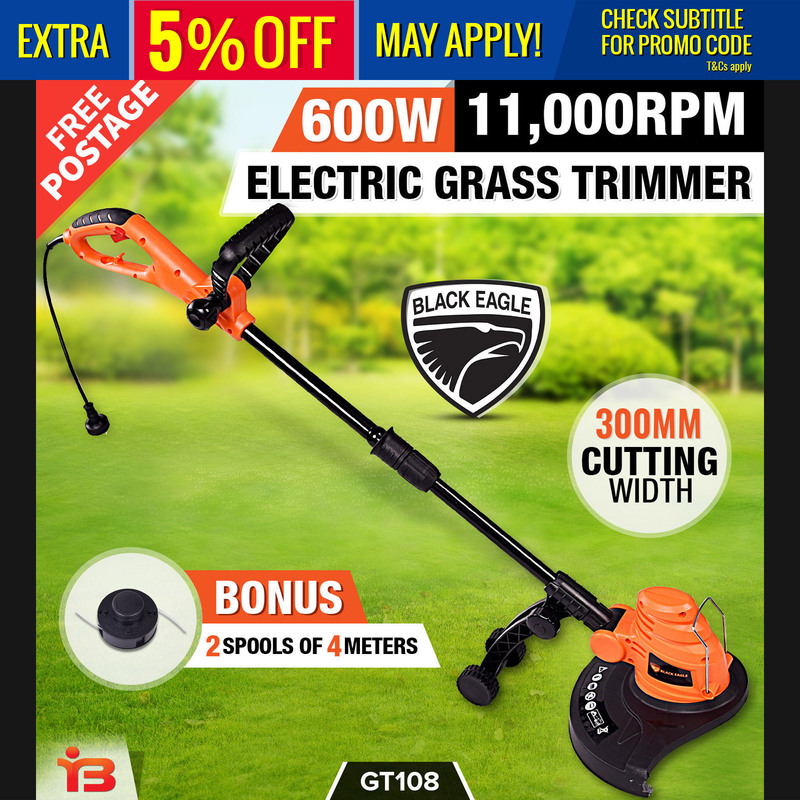 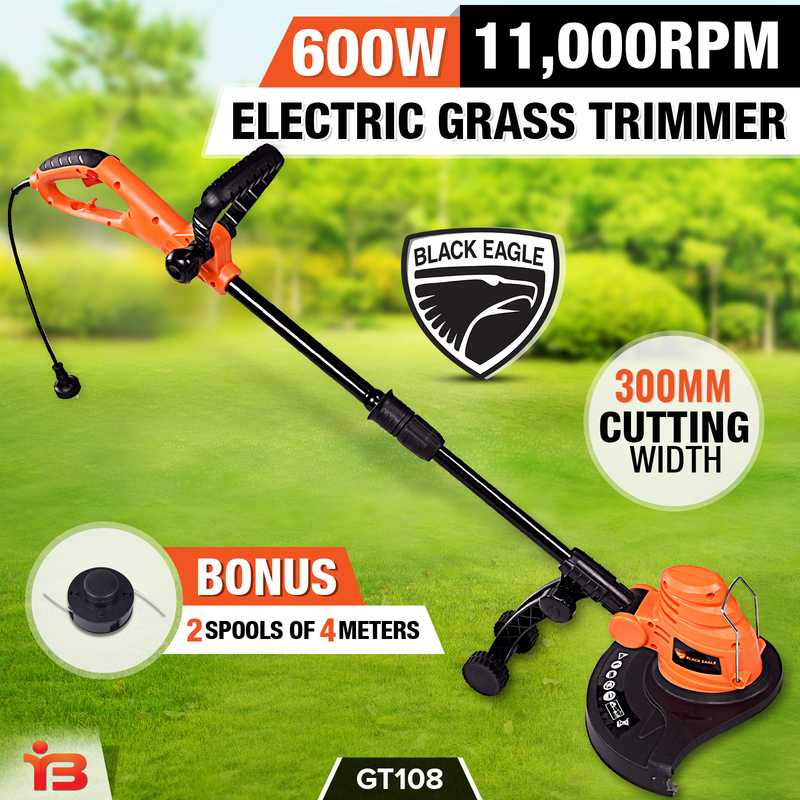 Your grass trimmer features a three edge-cutting angle (+90,-90 and 180 degree) for all the mobility needed for precision trimming. 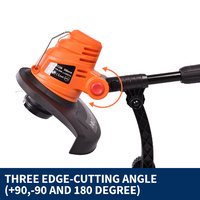 Now you can have that perfectly manicured lawn you have always wanted. 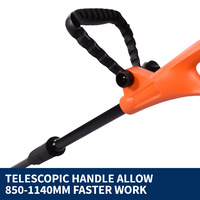 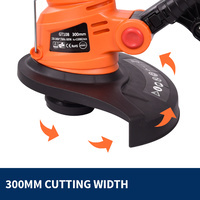 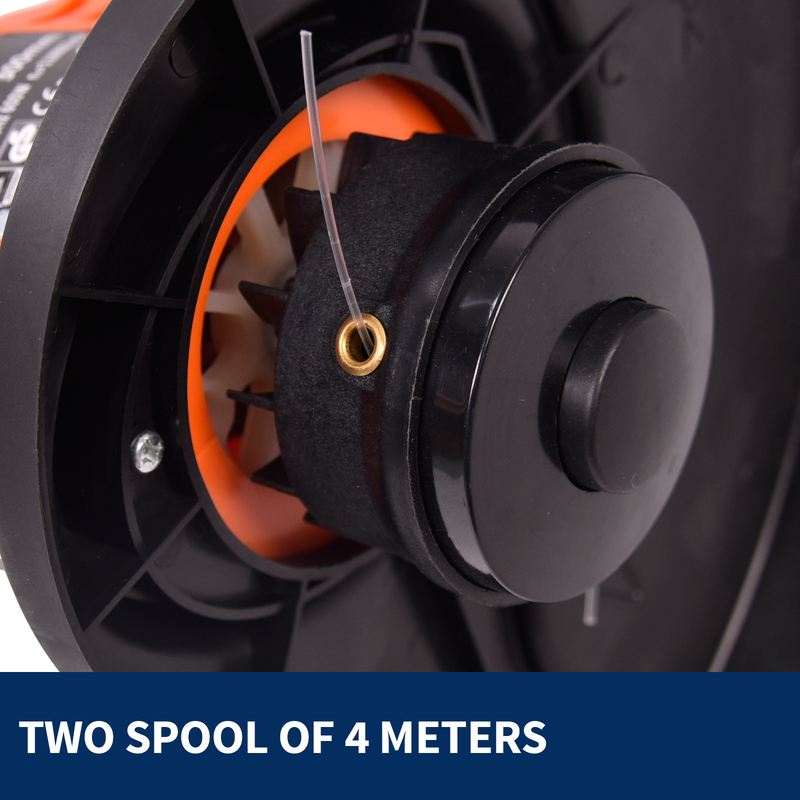 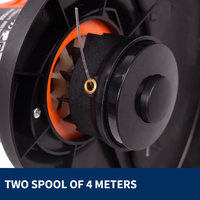 Keep all the weeds at bay with a no load speed of up to 1100rpm and two spools of 4 meters each to allow you to keep your focus on the task at hand, rather than the tool at hand. 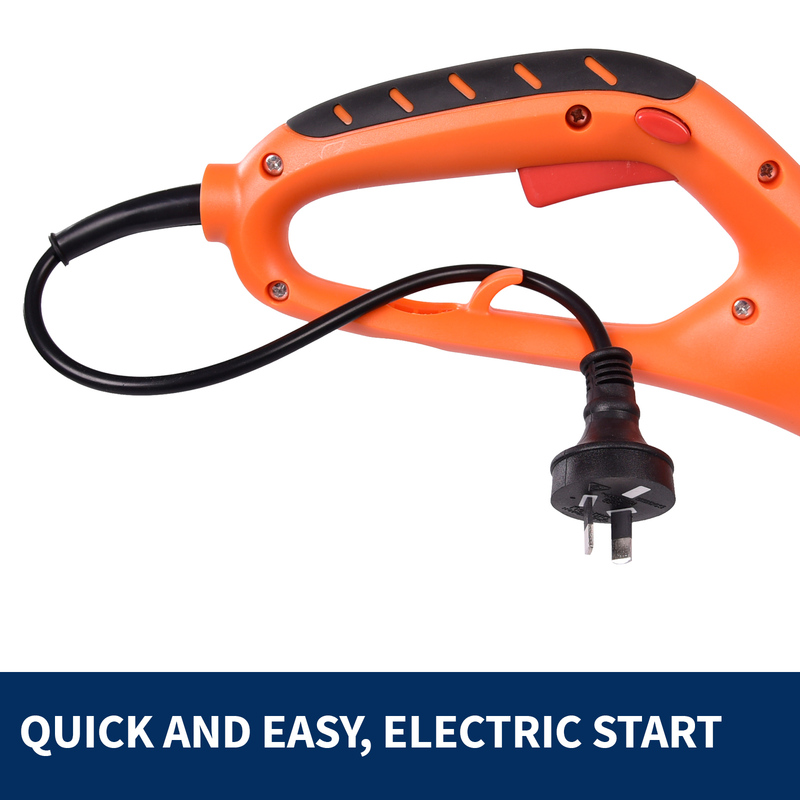 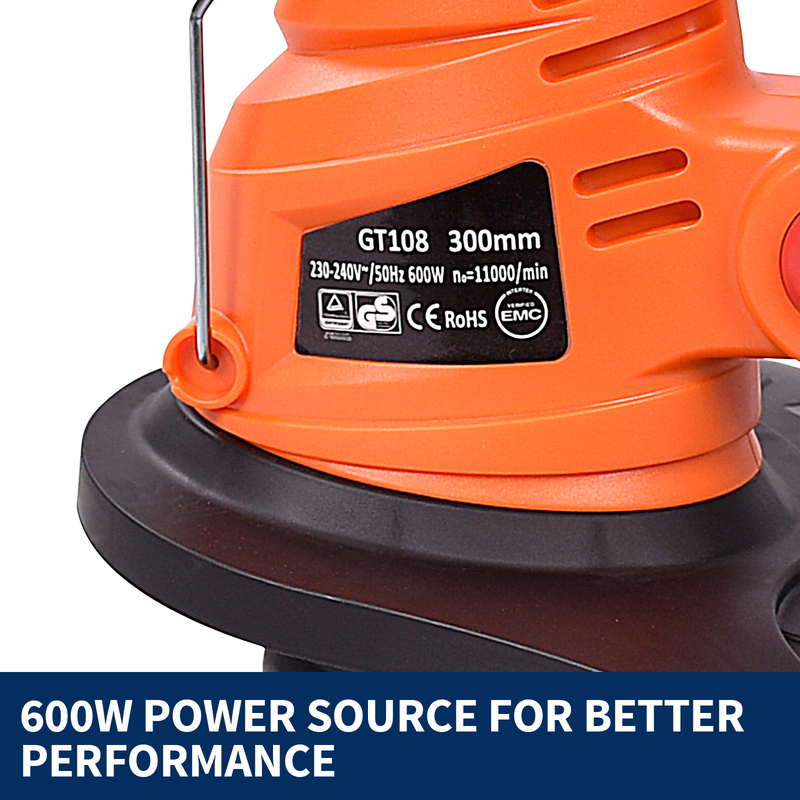 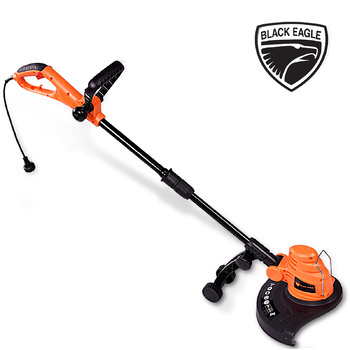 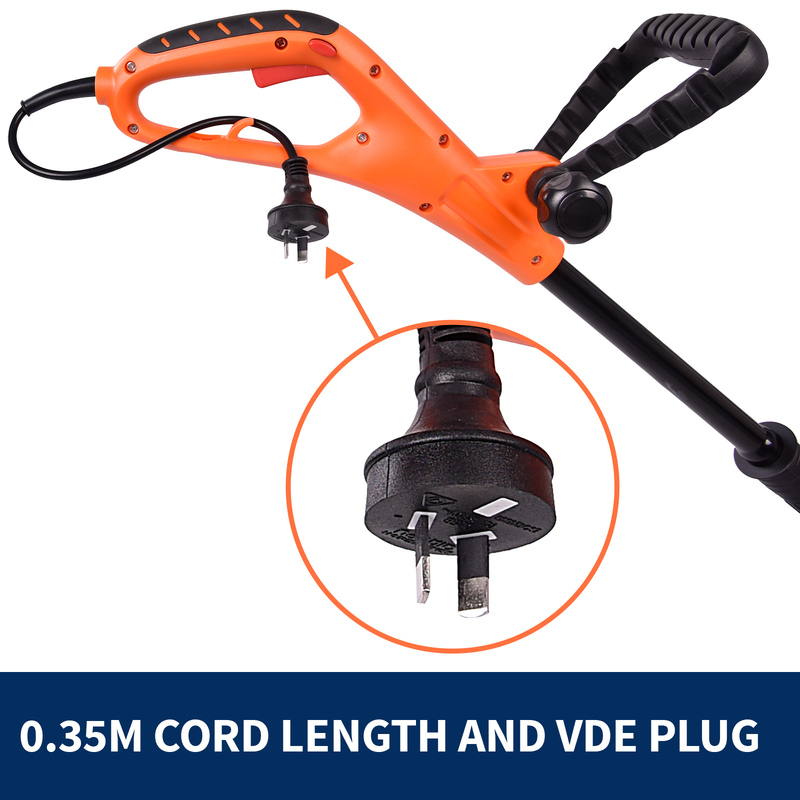 The 600W grass trimmer comes standard with a 0.35-meter electric cable and VDE plug for added safety. 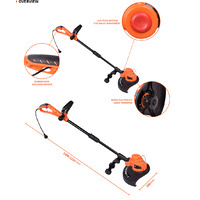 Now you can cut your lawn uninterrupted for as long as is needed. Furthermore, it has a 300mm cutting path allowing you to create those clearly defined edges and lines a manicured lawn requires. 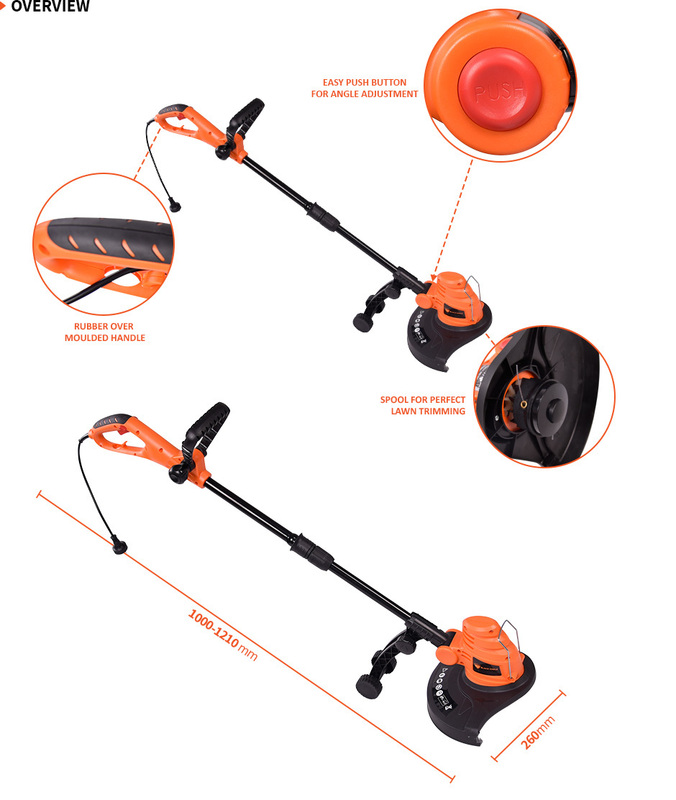 The 600W grass trimmer is an economical, durable and extremely convenient DIY tool and will deliver that perfect lawn every time. 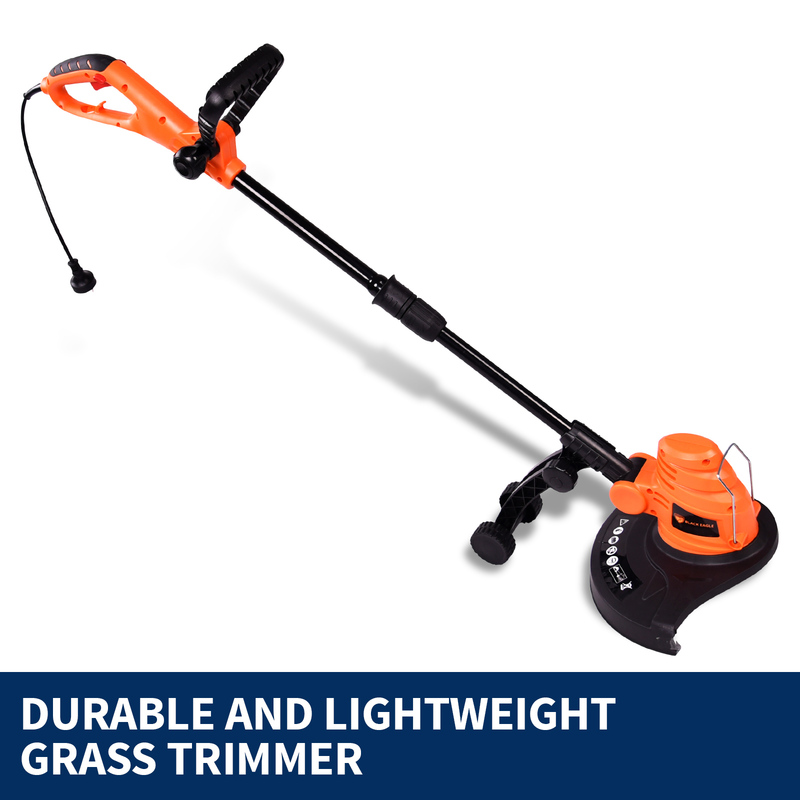 Stocks are limited; order your grass trimmer today.